Built for heavy usage, lightweight poly binders are ideal for a wide variety of environments, including – but not limited to – medical facilities, kitchens, classrooms, trucking and industrial shops. Made of durable plastic, Union’s poly binders withstand extreme temperatures – both hot and cold – and are available in a wide array of standard colors. 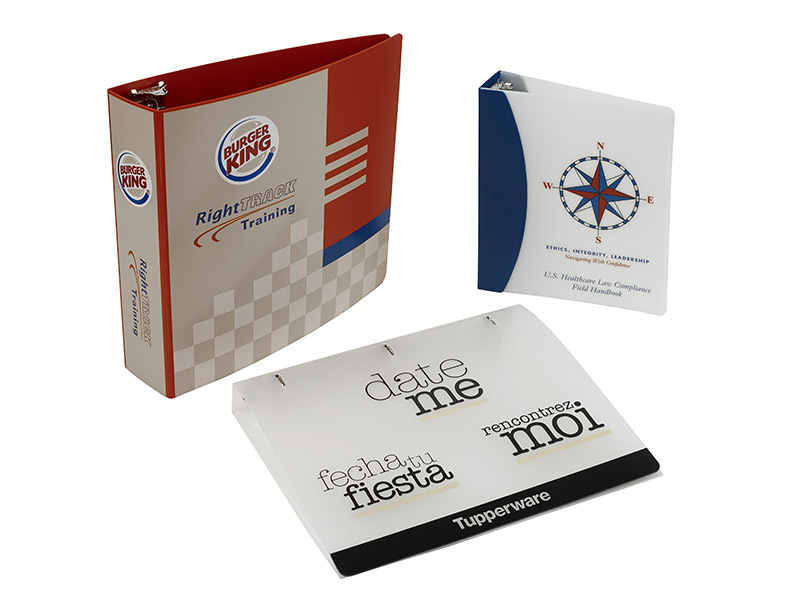 Decoration options: include foil stamping, digital + offset printing, and silk screening. POCKETS: Inside pockets can be invaluable for holding documents, business cards or CDs. RING OPTIONS: Ring options include round rings, d-rings and slanted d-rings.